Most guests spend approximately 4 to 7 hours at the park. 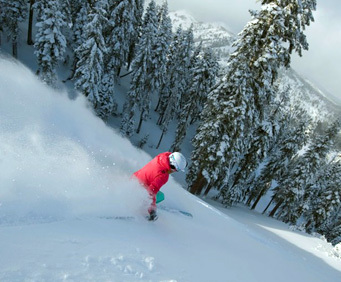 Squaw Valley boasts over 4,000 acres of immaculately groomed trails, slopes and terrain parks for your enjoyment. In addition, you'll find 34 lifts in the park, offering you the best and fastest way to get back on the slope. Don't wait in line for a lift; Squaw Valley offers you the fastest return and the most ways to get back on top! You'll enjoy the wide diversity of ski areas, and even the number of boarding and tubing options. You'll also enjoy the 6 different peaks encompassed by this park, giving you the widest range of skiing, boarding or even tubing options. Plunge down a trail lined with beautiful trees, or enjoy a wide open slope. The terrain parks feature all the options that you demand, as well. You'll also find a rock climbing wall, ice skating, swimming, tubing, cross country skiing and shopping throughout the park. 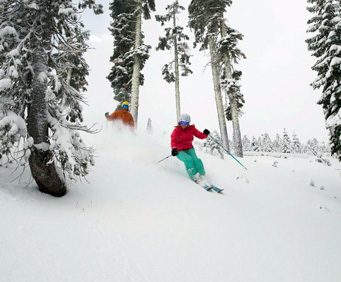 Make your trip to Lake Tahoe the best possible, with the best ski park in the area. This is an absolutely beautiful resort. Top of the line.